Get full color matching, great customer service and fast turnaround when you order our laser cut Matte Stickers. Matte Stickers are available in our Die Cut and Kiss Cut Stickers, and are finished with an outdoor durable matte laminate, giving your stickers a smooth, and satin-like finish. For a soft, satin finish on your custom sticker designs. Custom Matte Stickers are outdoor durable, and will resist fading in the elements. Digital printing uses a 4-color process. No additional cost for custom shaped die cuts. Compared to our Glossy Die Cut Stickers, or Glossy Kiss Cut Stickers, our Matte Laminate has a soft, satin-like finish and will have a low-glare effect. 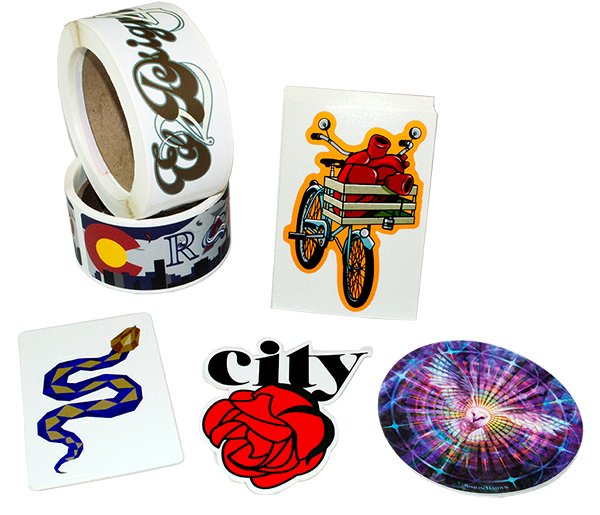 Matte Stickers are an ideal option when you want to transform detailed artwork into a custom sticker, or want to have multiple types of stickers of a similar design to offer your fans. Matte Stickers can bring a unique, and elegant quality to your custom sticker designs, and are made with outdoor durability. These stickers are also printed with full color process, for vibrant colors that help your designs look fantastic.